As many enjoy the World Cup games in Sao Paolo, most remain oblivious to the abusive working conditions of labourers. 50kg bags of concrete and working at heights of 50 meters was too much for some workers. at World Cup stadiums in Brazil, including at least three workers at building sites in Sao Paulo. accidents is growing the most. of the 2018 World Cup, has had 60 deaths due to construction done for that event. 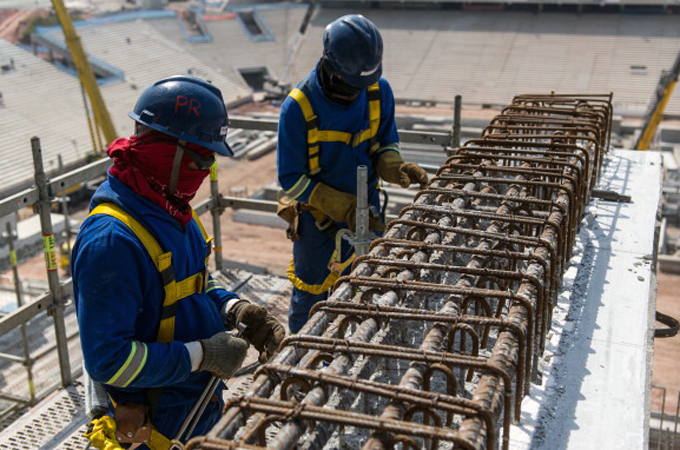 laborers endure appalling in Qatar's preparations to host the 2022 World Cup. in Rio de Janeiro to make way for construction works for the World Cup."